Services – Vintage Crop Insurance Agency, Inc. Multiple Peril Crop Insurance (MPCI) is federally subsidized protection from numerous causes of loss, including drought, excessive moisture, freeze, disease and more. Several MPCI products are available specifically intended for different crops and diverse areas of the United States. Actual Production History (APH) provides comprehensive protection against weather-related causes of loss and certain other unavoidable perils. Check Crop Provisions for specific causes of loss. Coverage levels are available from 50%-75%, in 5% increments, (80% and 85% coverage levels available in limited areas) of the APH up to 100% of the price election (determined by RMA). CAT coverage is available at 50% of the APH and 55% of the price election. Since 1985, RCIS has offered a wide range of private products including a diverse selection of named peril coverages available to MPCI policyholders. Named peril polices help fill a gap in MPCI coverage and typically insure a single peril like rain or freeze to help producers cover exposure. Listed below are some of our private products developed and perfected over time to exceed the expectations of every producer. California crops contribute $49 Billion to the economy. Agriculture drives California’s economy. Crop Insurance is vital to California’s agricultural Sector. Oregon crop contribute $5.3 Billion to the state’s economy. Washington crops contribute $10.8 Billion to the state’s economy. Arizona crops contribute $4.5 Billion to the state’s economy. Agriculture drives Oregon, Washington, & Arizona’s economy. 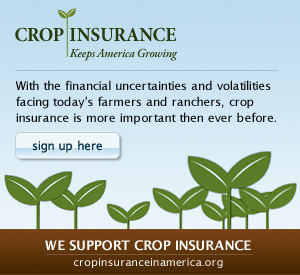 Crop Insurance is vital to their agricultural sector.